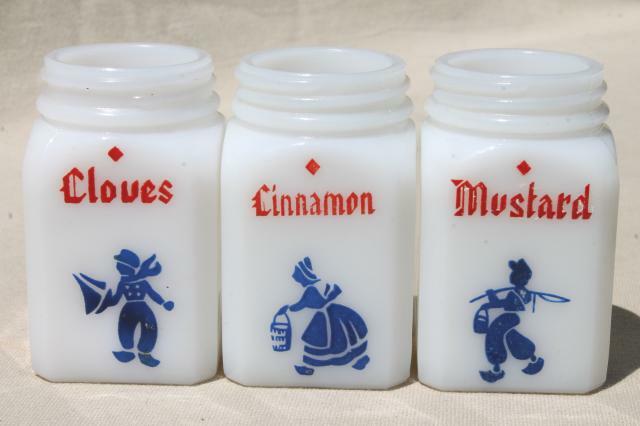 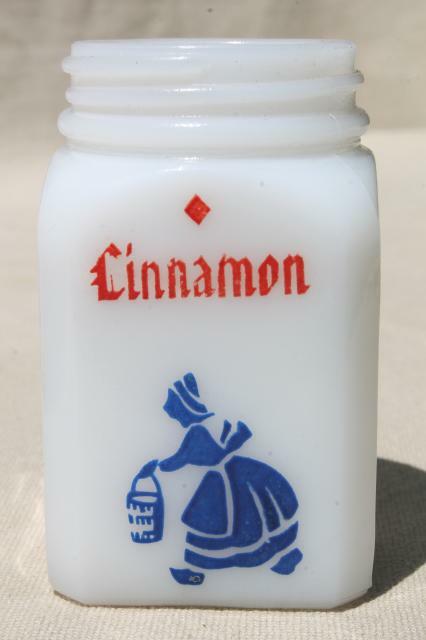 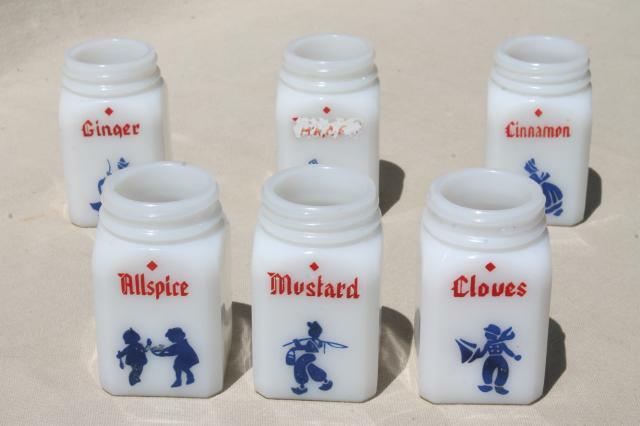 Lot of six assorted old milk glass spice bottles, all 3 1/8" tall, 1 5/8" across the fitters. 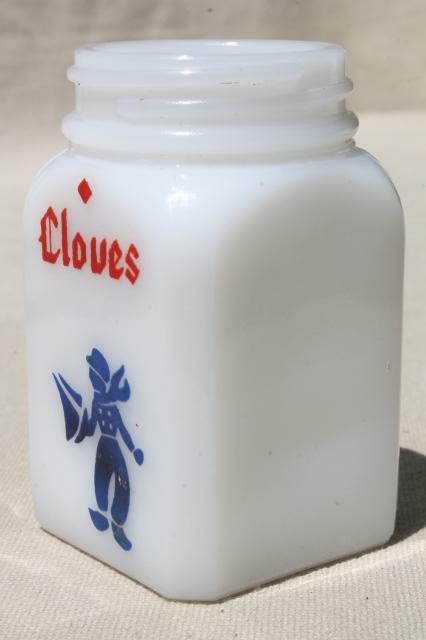 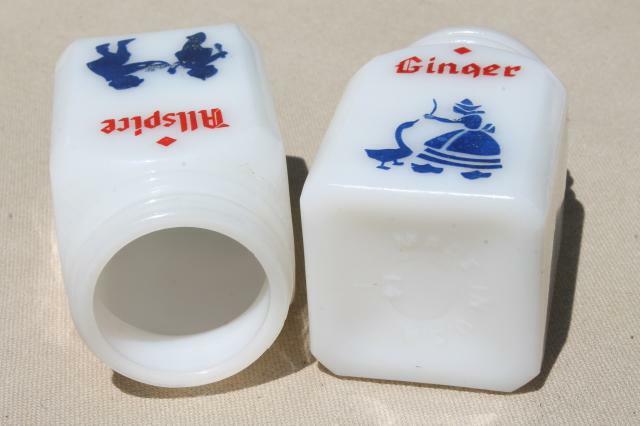 These have no lids and they do have some wear to the designs (one has been whited out and re-marked for another spice). 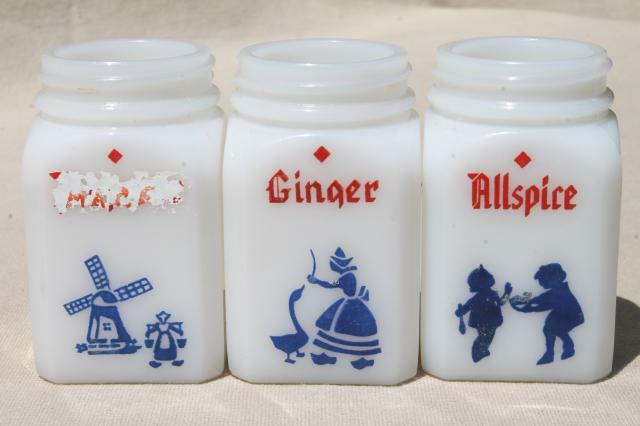 No chips or cracks to any - these would make good replacement / fill in pieces to an existing collection, or cute little jars to use for vases for flowers or craft supplies.